The Surf and Wind capitals of the Riviera Nayarit showed off their outstanding natural conditions as well as their fantastic service infrastructure on the international stage when they hosted some of the top sporting events from around the globe; take it from the champions themselves. Sayulita and Bucerías welcomed hundreds of athletes during the month of May when they hosted the ISA SUP & PaddleBoard World Championship and the Kitesurf Wind Festival, respectively, impressing the participants from both of these international competitions while proudly representing the Riviera Nayarit and all of Mexico. 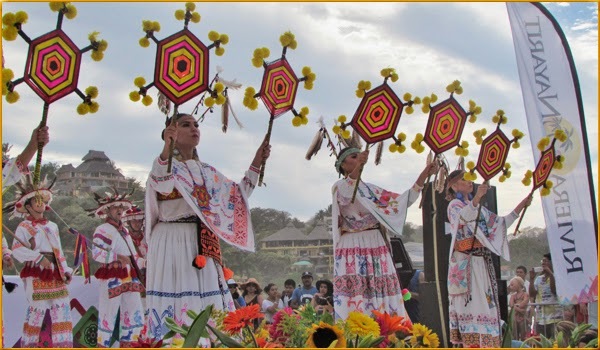 Under the guidance of Executive Director Marc Murphy, the Riviera Nayarit Convention and Visitors Bureau (CVB) is charged with executing this type of events in order to position and promote the Destination at a global level. On this occasion the events centered on popular waters sports that are ideally suited to the Destination’s natural conditions and have an ever-increasing number of followers. “This is my first visit to Mexico and Sayulita really blew me away. It’s a beautiful town and I was very happy to have experienced it,” said Jordan Mercer, gold medal winner for Australia in the women’s division Long Distance, Technical and Prone races. “I loved being here—Sayulita is fantastic! It’s a beautiful town for paddling. The climate and the people are great and everything’s so full of passion!” expressed Jack Bark, gold medal winner in the Prone Race and member of the winning US team. The Mexican Kitesurf Association brought its most important event to the Riviera Nayarit thanks to its reputation as one of the best spots in the country for practicing this exciting sport. “I feel this event is a definite 10 on a global level. I think its success lies in the Riviera Nayarit having the perfect wind conditions for all the different kitesurfing categories,” commented Italo-Colombian Riccardo Leccese, number one world-ranked racer.